The Atlanta Campaign was a Union offensive fought in northern Georgia during from May to September of 1864. The Union armies that fought in the Atlanta Campaign were: the Army of the Tennessee, commanded by Major General James B. McPherson; the Army of the Ohio, commanded by Major General John M. Schofield; and the Army of the Cumberland, commanded by Major General George H. Thomas. 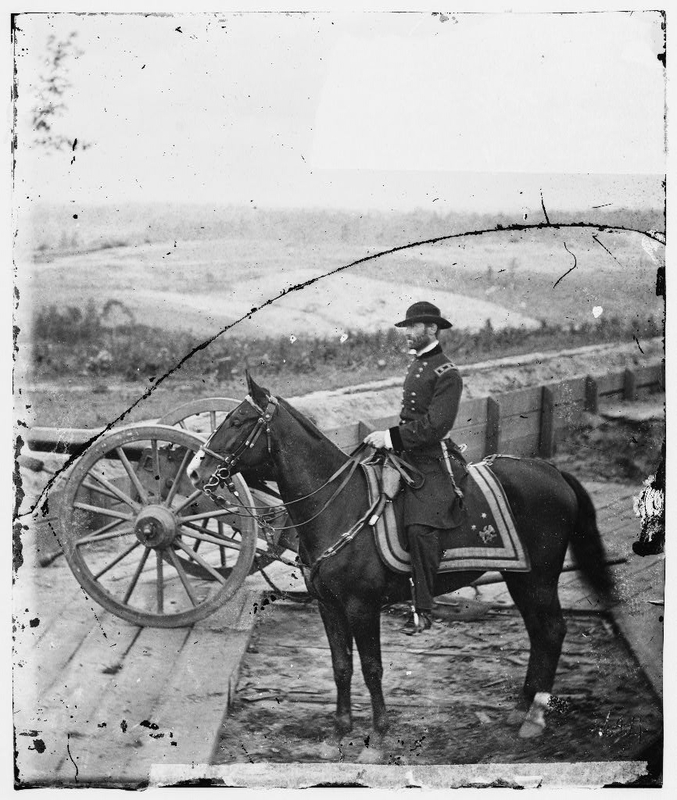 The overall commander of the combined Union forces, known as the Military Division of the Mississippi, during the Atlanta Campaign was Major General William T. Sherman. The Confederate army that fought in the Atlanta Campaign was the Army of Tennessee. At the beginning of the Atlanta Campaign, General Joseph E. Johnston commanded the Confederate Army of Tennessee. On July 17, 1864, Confederate President Jefferson Davis relieved General Joseph E. Johnston of command of the Army of Tennessee and replaced him with Lieutenant General John Bell Hood. The number of Union soldiers engaged in the Atlanta Campaign varied from about 98,500 to 112,000. The number of Confederate soldiers engaged in the Atlanta Campaign was about 50,000. Union casualties (killed, wounded and missing/captured) during the Atlanta Campaign were about 31,600. Confederate casualties (killed, wounded and missing/captured) during the Atlanta Campaign were about 35,000. An estimated 4,423 Union soldiers died during the Atlanta Campaign. An estimated 3,044 Confederate soldiers died during the Atlanta Campaign. The Atlanta Campaign ended when Confederate General John Bell Hood ordered the Army of Tennessee to evacuate Atlanta on September 1, 1864, enabling Sherman to occupy the city on the next day. The capture of Atlanta was an important factor in President Abraham Lincoln’s re-election. The capture of Atlanta was somewhat blemished because Sherman allowed Hood’s army to escape.